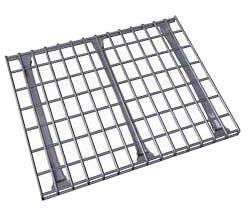 Wire Decks are a great product for keeping loose items from slipping through your pallet rack beams and falling onto you or your employees. Wire decking also has the added benefit of being open in case of fire, which other products (particle board, plywood) do not. 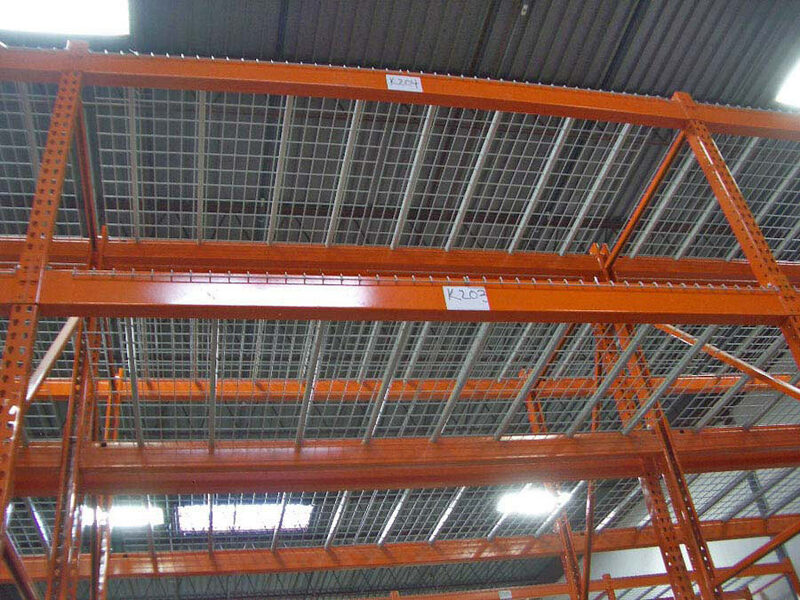 This open mesh design allows water from sprinkler systems to flow through the racking and suppress any fires that are low in the racking. Most municipalities now require wire decking instead of wooden pallet supports. Wire decking is typically available with one of two channel types; "universal" and "step channel". 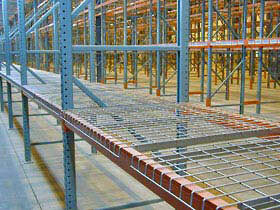 Universal, or flared supports allow the wire decks to be used on either box or step beams. 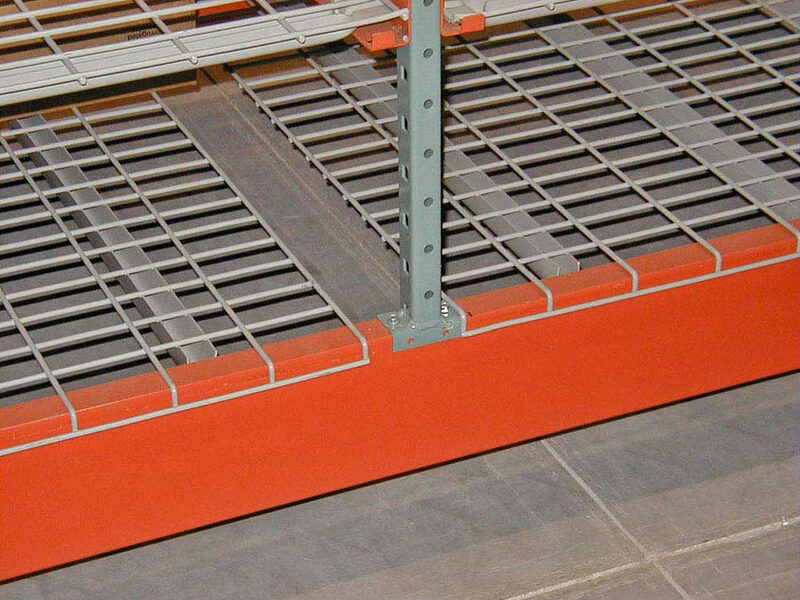 Channel type wire decks can only be used with step beams. In addition to these two channel types, wire decking also accommodates options to either wrap around the top of the beam (waterfall) or sit flush with the level of the beam (flush). 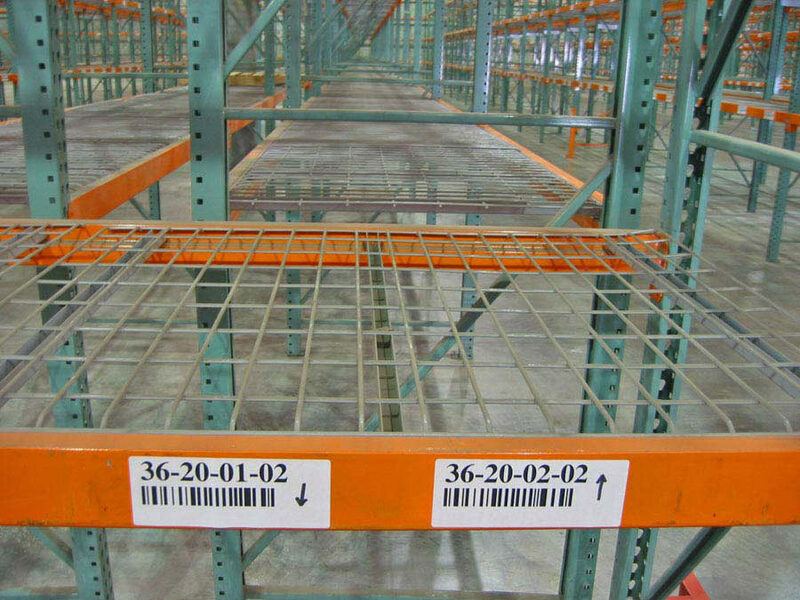 UsedRack.com is the distributor of new & used wire decks for pallet rack in Minneapolis, Minnesota and its surrounding area. 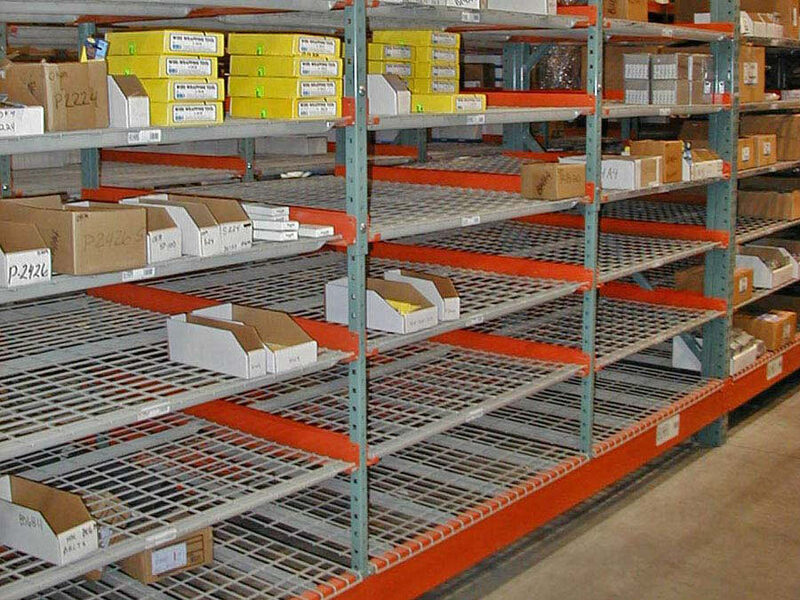 In business since 1979, UsedRack.com stocks all major brands of wire decking including: J&L - Atlas - Nashville Wire - ITC - SJF Material Handling - Worldwide - Wireway/Husky and more. Below, you'll find a selection of the best wire deck links on the web.